Aquaponics is a fantastic way of growing plants faster and more efficiently than more traditional methods. The fact that you can breed fish at the same time is a big bonus. 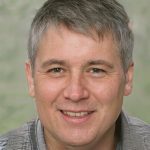 But, the system of growing plants with nutrients supplied by fish is not actually new; there is evidence of the practice dating back to the Aztecs! It’s little wonder then that there are so many different approaches, all of which have their merits. 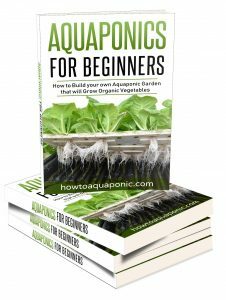 The Dutch bucket aquaponics system is worth talking about as it is incredibly simple to create and surprisingly effective. What is a Dutch Bucket Aquaponics System? 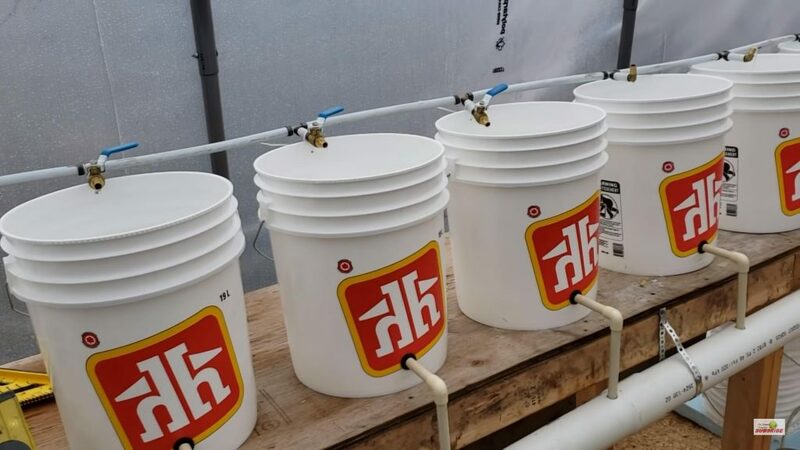 In short, the Dutch bucket aquaponics system utilizes buckets connected to your fish tank. You can have multiple buckets in series, all connected to the fish tank via a central line. The water is pumped through this and into each bucket; it is then allowed to drain back into the fish tank to be cycled again. The alternative is to keep pumping water into your bucket in a continuous flow; effectively keeping part the roots submerged. For this to be effective you’ll need to make sure the water is well aerated. This technique is not used a lot. The bucket is full of your grow media, ideally, you can have a lid on it, with a hole big enough for your plant to emerge from. You can also put some dry media on top in order to prevent algae growth. The water drains through the grow media, allowing bacteria to convert the ammonia into nitrates and provide the plants with nutrition. It collects in the lowest inch or two before leaving its way back to the fish tank. Why would you use a dutch bucket system? 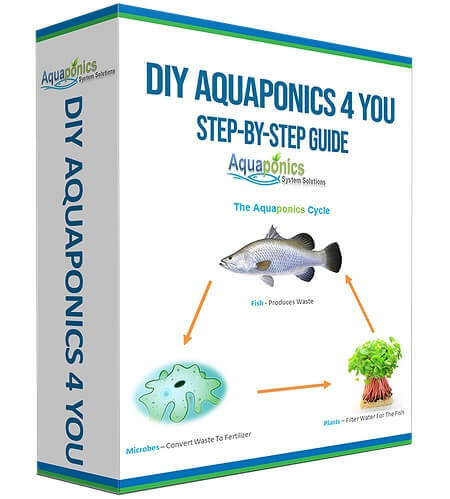 Aside from the fact that is a very simple system to establish, the Dutch bucket aquaponics system is fantastic for ensuring the roots of your plants don’t interfere with your system. Planting just one thing in each container makes it easy to contain these roots. 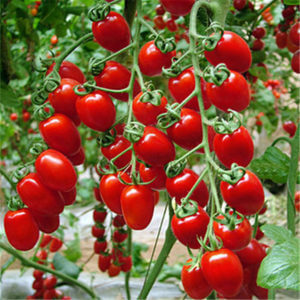 This makes it especially good for larger plants, such as fruit trees or those that like to climb, like tomatoes. In fact, the constant supply of nutrients allows plants to grow in less space than they normally would. Alongside this, the Dutch bucket aquaponics method avoids loss of water through evaporation; making it very economical to operate; even if you live in a hot climate. You can add or remove plants very easily; making it easy to get rid of disease or adapt to your fish and nitrifying bacteria. The immersion of the roots in the media with a constant water drip via the drip system does increase the likelihood of algae and fungal growth on the roots of your plant. Despite being easily able to remove plants from the group, diseases can spread fast and affect all of your plants before you have time to react; especially if they are kept in a greenhouse or similar environment. You’ll need to pay attention to the temperature of your grow media in the summer. The thermal mass will vary depending on which grow media you have chosen. The better it retains heat the hotter your water will become; you’ll need to add cooling measures. But, at night the heat will gradually diminish and, combined with your cooling measures, potentially make the water cooler again. It is best to choose a vining plant for your dutch bucket system. Tomatoes are a particularly popular choice but beans, peppers, and eggplants are all good choices as well. You’ll also find this is a good system for growing small trees, the bucket constraints the roots which limit the growth; but you’ll still good high-quality fruit. Of course, I will be faster than growing in soil. Step 1 – Get yourself as many buckets as you think you’ll need to start your system. Position them on a raised bench or stand; ensuring they will be higher than your fish tank. Step 2 – Drill a hole in the side of each bucket, close to the bottom. You’ll need to attach a pipe to this. The pipe attaches to the main pipe that connects to the exits of all the buckets. This should be angled downwards to allow the water to flow back into your fish tank. 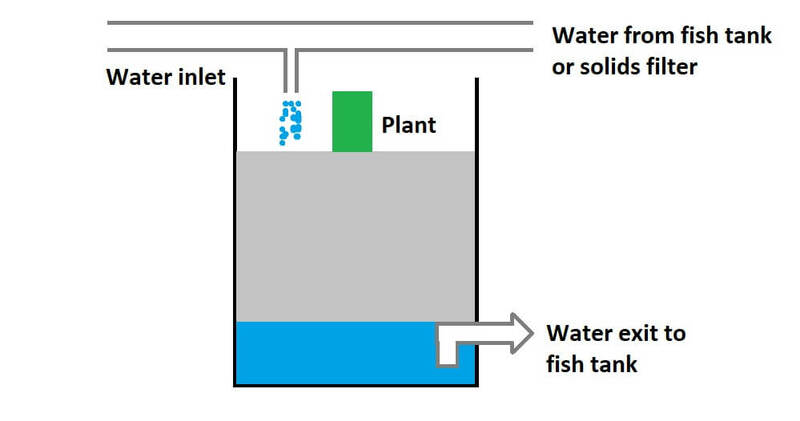 Step 3 –Position your fish tank so that the water drains into it. Then add a pump to take the water out of the fish tank and up above the buckets. This main pipe will need to have a small pipe coming off it just above each plant. A small pipe will allow water to drip through onto the roots of your plants. Step 4 –Consider adding a filter before pumping it to the buckets. At least, this should remove solid waste. 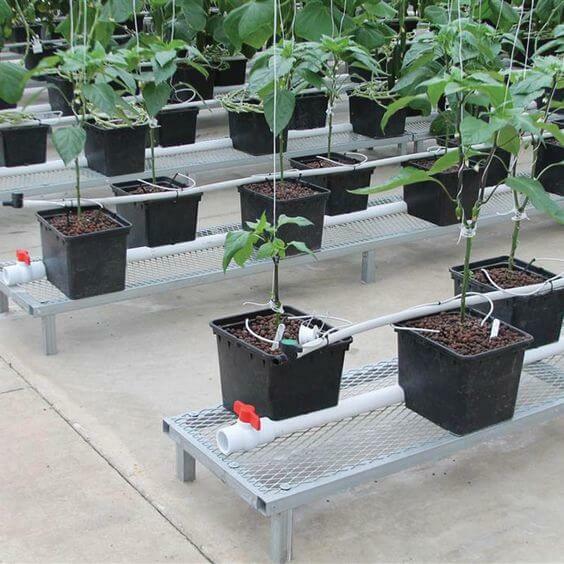 You may even want to add an extra biofilter to help the plants get the nitrates they need. Step 5 – Test your system to ensure the water circulates smoothly. You’ll need to fill each bucket with the appropriate growing medium but don’t add the plants yet. Step 6 – Test the system to ensure your nitrifying bacteria have settled and then start adding more fish and plants. Step 7 – enjoy watching your plants grow. Check out the answers to the most commonly asked questions, if you’ve got any questions that haven’t been answered then contact me for help. How big do the buckets need to be? The size of each bucket will depend on what you are hoping to grow. In general one bucket is used per plant; A 10-liter bucket should suffice for most plants. The aquaponics drip system means they are continuously receiving water but they are not sitting in water. It’s the perfect situation for most plants to get the nutrition and hydration they need! It’s advised to let it run constantly so the roots won’t dry out. If you do have a higher flow rate, you can turn the flow on and off each hour to save electricity. However, turning your pump on and off won’t be good for its lifespan. There are several options when it comes to choosing the right growing media for your Dutch buckets. River rock is a good choice as it is relatively small and cheap, it is also heavy enough to hold your buckets in position; even if you’re growing outside in the wind. As with any of the smaller media; you’ll need to ensure it cannot be sucked into the pipes, potentially clogging them. How high should the water be in the buckets? The water should trickle in the top continuously. You’ll then have 1-2 inches that sit at the bottom before it heads back to the fish tank. This is achieved by creating a double 90° bend in the return pipe; which will prevent the water from returning to the fish tank until it reaches a certain level. It may take a little trial and error to get the Dutch bucket aquaponics system working but it will be worthwhile; it’s a very efficient and effective system.